We are a network of animal rights activists and people interested in becoming activists. If you register to join, you will be notified of action taking place in your country. Activists from all over Eastern Europe participate in helping animals and educating people. We write letters to the editor and initiate protests about animal rights issues in order to prevent the suffering of animals on farms and in abattoirs, in the clothing industry, in laboratories, in zoos and circuses, and in the pet trade. Together, we are a powerful voice for animals that will be heard. In addition to these activities, we can provide tips on how to get active for animals. A PETA representative helps activists plan and carry out campaigns, distributes leaflets and other materials, and answers questions concerning PETA’s work. We are open to everyone – whether you are new to animal rights or already have years of experience in this field. 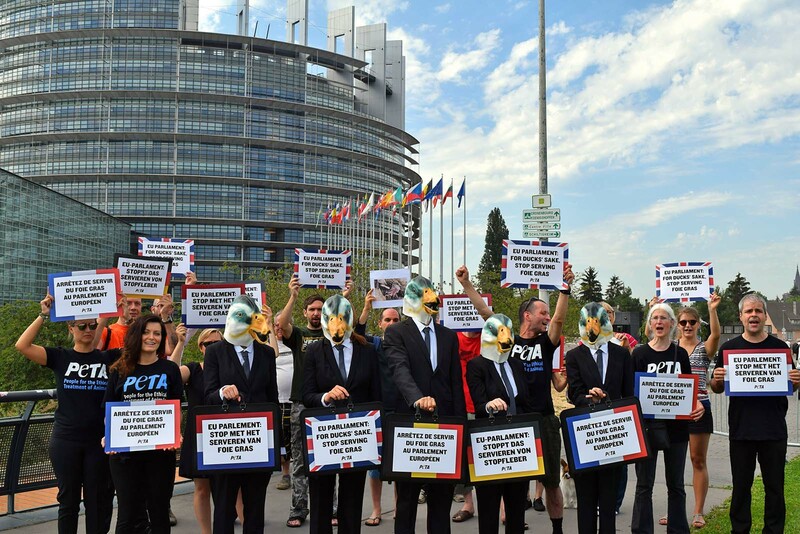 Register today to become part of PETA Germany’s Activist Network in Eastern Europe! In the following sections we provide some reading recommendations and other materials for everyone who would like to get active fort he animals. You can also get some basic information about what PETA Germany stands for. Have a look on the Year of Change – a first of its kind programme to fund working hours and building up structures for organizations in Eastern Europe.